Good morning people! I'm back to blog about the different hairstyles that you can play around with one simple hair accessory, which is the hair cuff. 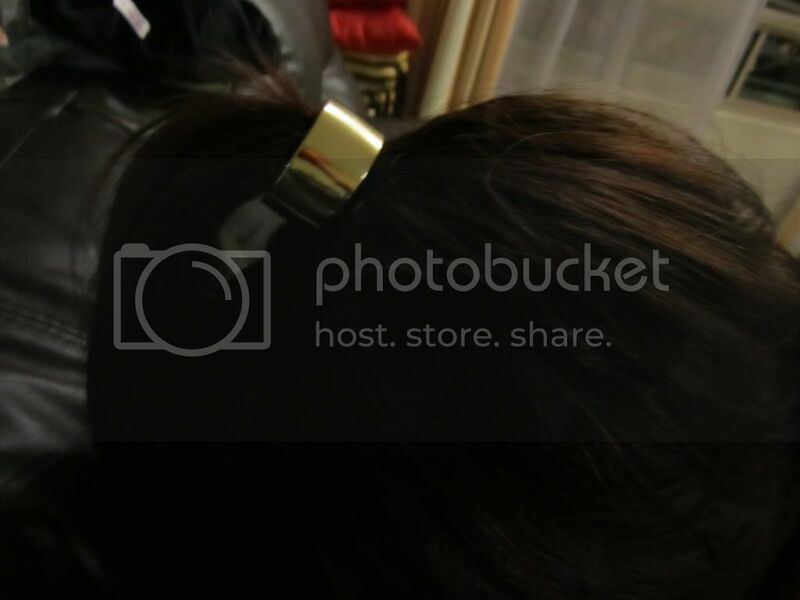 Hair cuffs seems to be trending now, and almost every girl would want to own one. Other than the usual tying up in a pony tail, there are other styles that you can play around too! I'll be showing pictures of 5 different ways of tying up your hair with the hair cuff, and hopefully there's one that you'll like. :) Okay so we'll start off with the simpler ones first. Okay ignore the mirror reflection. Haha. I tied the pony tail really low, and puffed up a little of the top of my hair, so that it wouldn't look very flat. You can also use some hair products to keep the top of your hair puffed up for the whole day. This hairstyle is suitable for working adults or students, when you have to go for meetings or presentations, as it gives you a more serious look. I'm sure everyone knows how to tie up a high ponytail. So this style should be pretty easy for all the girls. 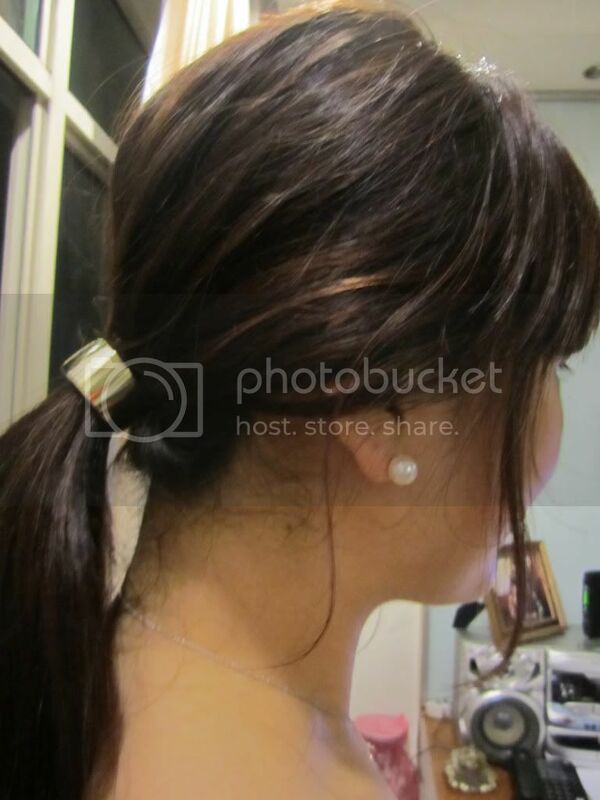 Just simply use the rubber band to tie up your hair and cuff it. You may like to puff up the top of your hair as well. I personally puff up the top of my hair everytime I tie ponytail, but if you like it flatter it'll also look nice! This is suitable for students going to school for lectures or just a project meeting. It gives you a young and cheerful look. 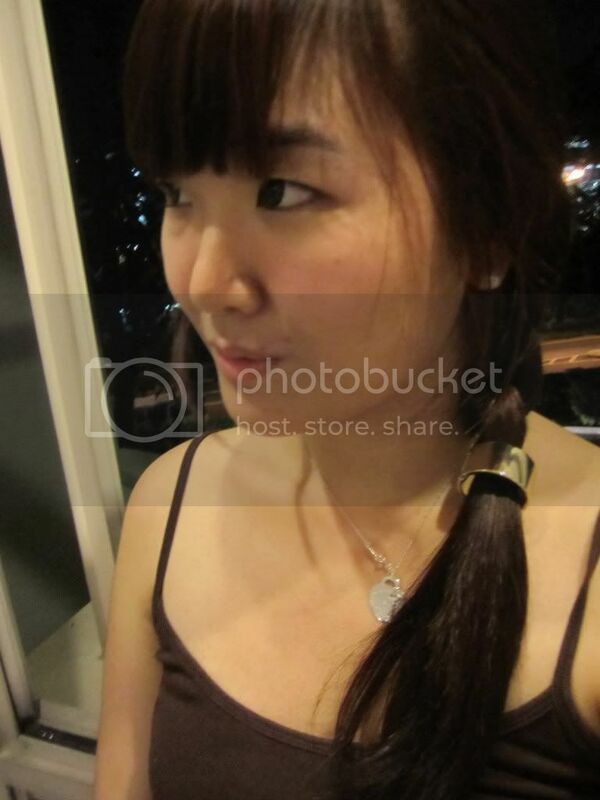 A side braid is suitable for a casual day/night out with your family or friends, even on a date. You can also tie it this way when you're going for a picnic. 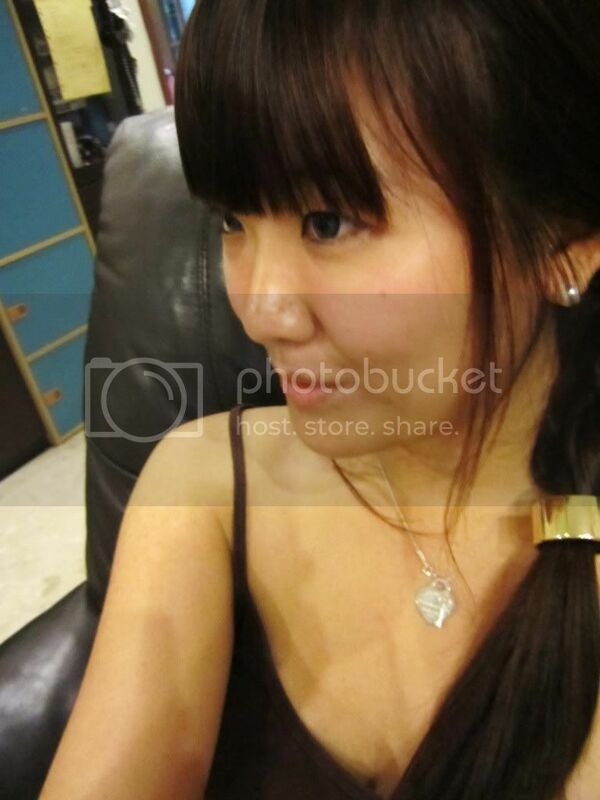 This is it, anyone knows the name to this hairstyle? Basically you'll need to tie up your hair in a pony tail. Just a little higher than the low ponytail above. Cuff it up after you're done with the pony tail. Use both hands to separate the top of your hair into half (Just right above the ponytail). 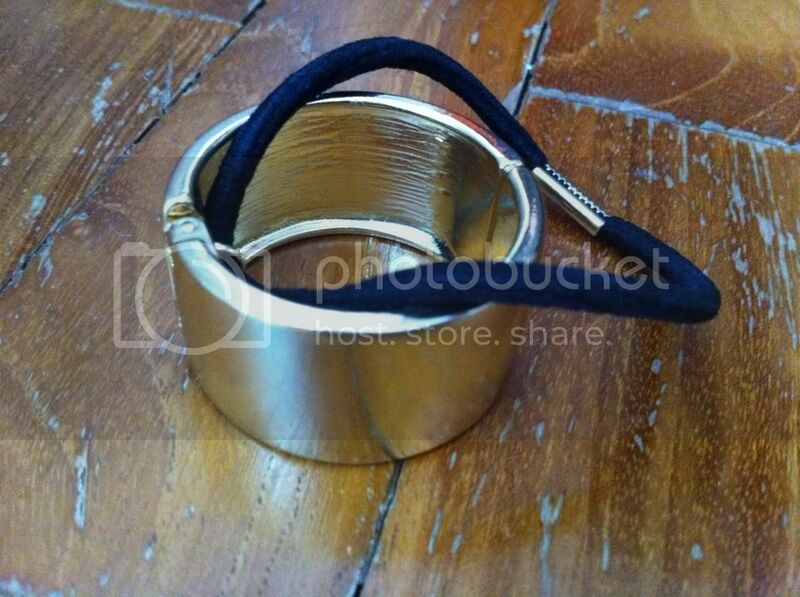 Make sure the hole is big enough for your cuff to pass through. 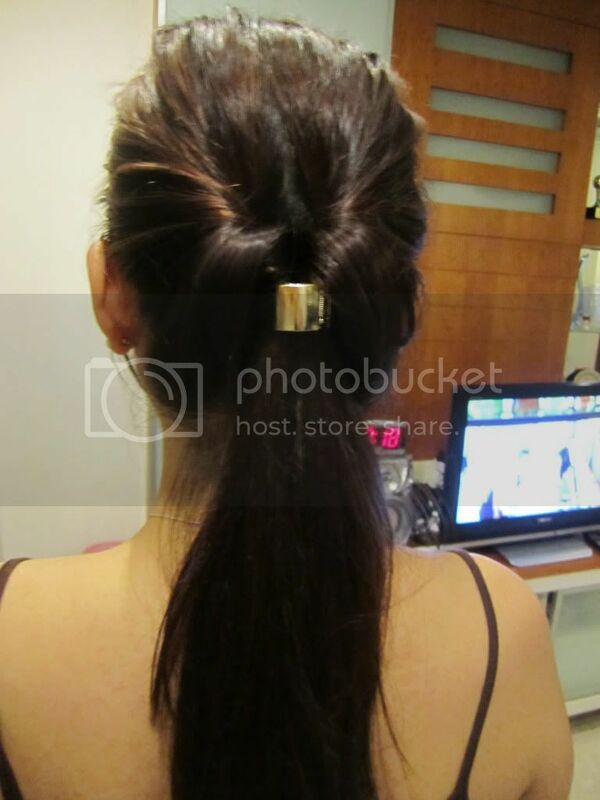 Flip your cuffed ponytail into the hole that you have created, and tadah, you'll get this hairstyle. This style is suitable for almost all occasions. Maybe for a dinner, or a date with your boy/girlfriends at a nice restaurant. This is the last style that I'm going to talk about today, Scorpion braid. Start from the top of your head and braid it down till the bottom of your head. Try not to braid it below the bottom of your head, if not it'll have the heavy look again. Secure your braid with the rubber band, and cuff it up. You may like to loosen up the braid a little after tying it up, so that it won't look too neat, and feel tight. This braid is suitable for students, or even working adults, and for all occasions. If you want to look neat, but don't want a ponytail, this is quite a good choice. Alright, I've done all the 5 different ways of playing around with a hair cuff. Is there a particular style that you like, and would like to know how to tie it in more detail, leave a comment and I might just do a video on how to tie that particular style. Hopefully there is at least one style that's to your liking. 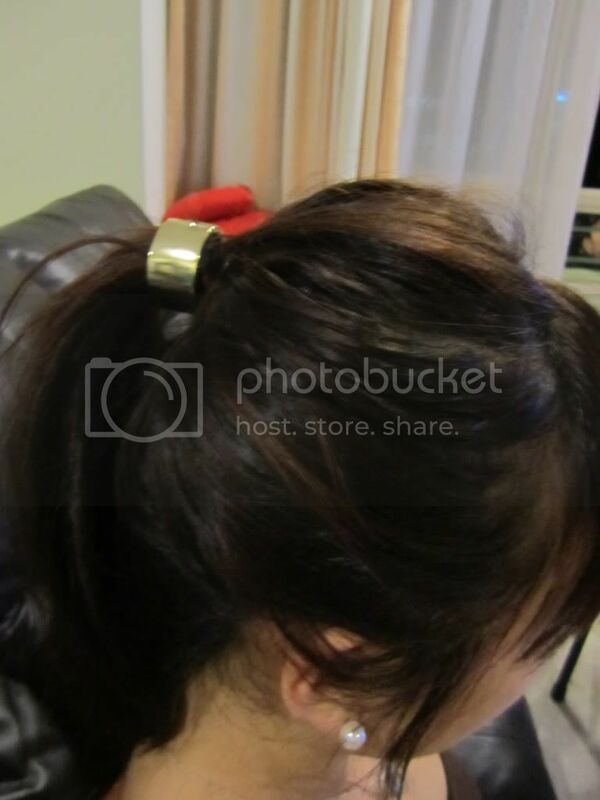 Meanwhile, I'll figure out more ways to tie up my hair with the hair cuff. 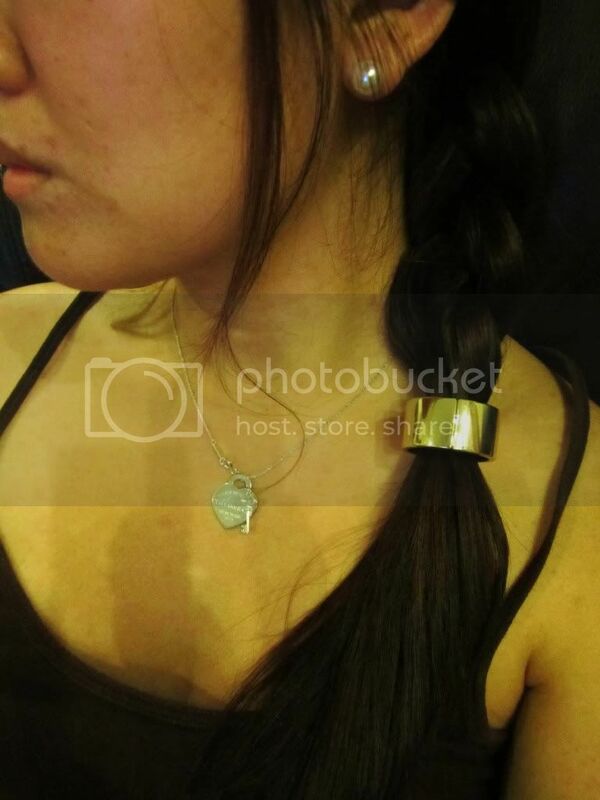 Special thanks to Junie for telling us that H&M sells this hair cuff, and Jasmine for helping me to get it! Have a great day ahead, and have fun meddling with you hair!